The Fourth of July is – and always has been – one of my favorite holidays. First, there’s the usual stuff – the flags, fireworks and everything else associated with the day. Besides being a ton of fun, it naturally draws folks together around the country we all love. Some of my happiest family memories as a younger kid were when we had the Don Watson group together with the Milton Watson group. Milton was my dad’s older brother, and “Brother” was the only thing my father ever called him. For a big chunk of my growing up, my folks’ house and Uncle Milton’s house were walking distance from each other. The Fourth always had us outside doing remarkably stupid things with explosives (we lived a ways out-of-town, so it was legal). We also had a variety of family competitions during the day, ate outside, made ice cream. I love the memory of all the adults laughing. 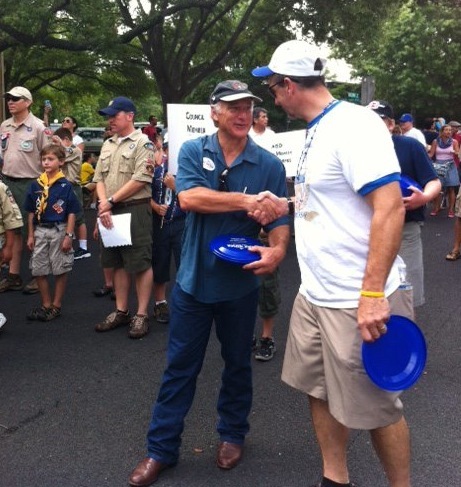 Another thing I relish about the Fourth, especially in Central Texas: the parades. I enjoy all of them, but especially the neighborhood ones that Austin seems to specialize in. This year, I walked in the Allandale and Hancock neighborhood parades. It was great fun seeing everyone. Lastly, and importantly, the Fourth is more than the USA’s birthday. 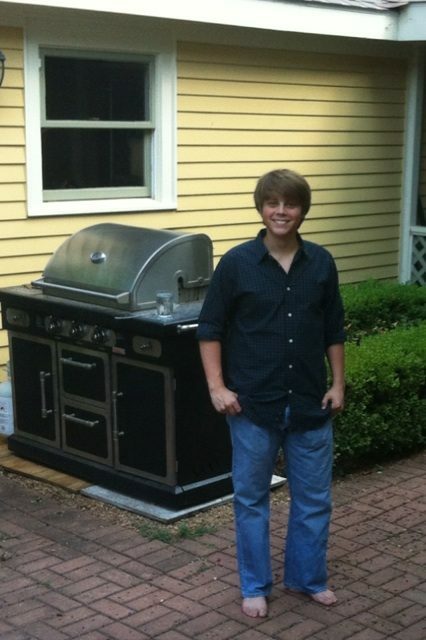 It’s also our son Cooper’s – he turned 17 on Wednesday. We celebrated at the house, where he’s just back from a month-long, high-level science research program at Baylor University. For the record, they weren’t doing research on him. He was doing the research. 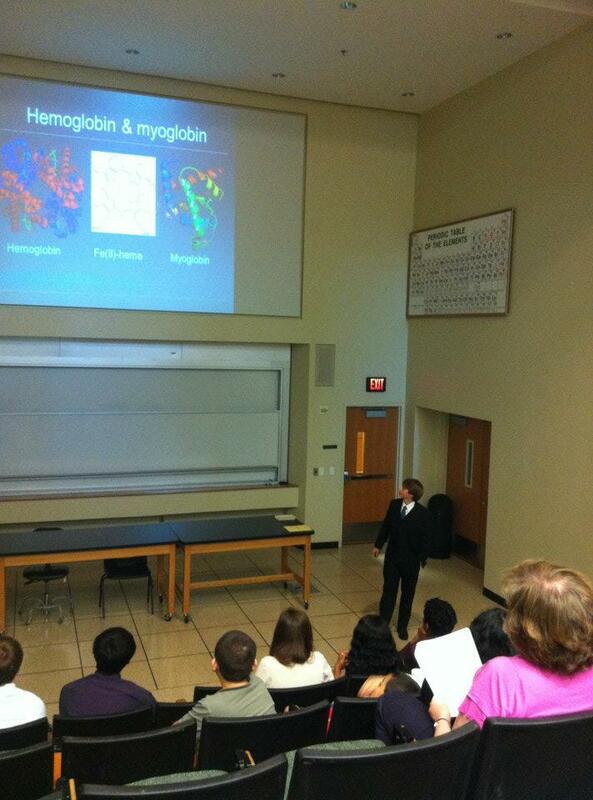 We got to see him present his findings on the Synthesis and Study of Oxygen-Carrying Cobalt Salen Complex. Yeah, I know. You were just thinking about that subject over the weekend, weren’t you? I paid close attention as he confidently walked through the chemistry, his processes and results. I didn’t understand a thing the boy said. I do know, however, that we’re very proud of him. The other highlight of this year’s holiday (though it came a couple of days later) was the chance to address a big group that came together Saturday to welcome home veterans of the Iraq War. 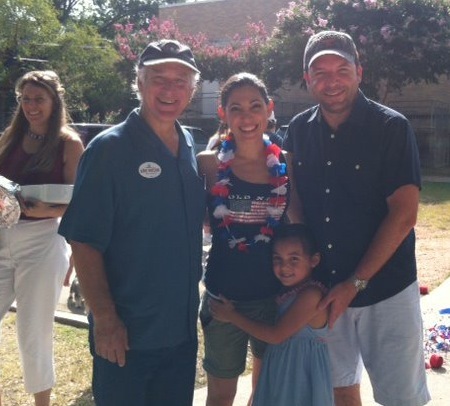 It was inspiring to see everyone who braved the heat for such a special, important event. What a wonderful day. And what a wonderful opportunity this is to say thanks to all of you who serve us so well. And how fitting that we gather here during the week of the 4th of July – a time when we celebrate our nation’s independence. This is a time that unites us as a people – that invites us to share the warm security of the freedom that sometimes seems so easily taken for granted. So amid all the friends, family and fireworks, this is a time that really demands we pause to recognize those who’ve made it possible for all of us to share this joyful privilege of being Americans. And we’re here today to remember. To honor the many who are not with us today. To pay tribute to those who served us, protected us, gave us literally all they had. To say thanks – and to give thanks. We are here, we are free, we are secure because they loved this country and what it stands for. Because they loved its people. Because they loved us and our country so much that they put it all above their own lives. I was taught, and I believe, that “Greater love hath no man than this, that a man lay down his life for his friends.” For her country. For its people. It’s our responsibility to return that love by being citizens worthy of their sacrifice. To unite, not divide. To give back to our community, state and country with grace. To lift up our brothers and sisters unselfishly and whole-heartedly. To do justice – and to fight injustice – at every turn. Let’s do that – let’s serve – with the same love we received from those women and men who died for our country. God bless you. God bless America. God bless and protect those who serve it.